People working with Walid Tahabsem distinguish him by his “unrelenting focus on quality and efficiency combined with a genuine concern and commitment for all who work with him.” These attributes have been hallmarks of Walid Tahabsem’s career. Representing true Jordanian entrepreneurship and success in the IT sector, Mr. Tahabsem is a well-rounded business leader equipped and driven to turn challenges into opportunities. After receiving his B.Sc. in Computer Science from Yarmouk University in Jordan, in 1989, he founded Integrated Technology Group. Today, as President and CEO of ITG, Mr. Tahabsem leads one of the most successful IT companies offering quality end-to-end products and services for the education and public sectors in more than twenty countries around the world. Combining his passion for technology and vision for a better future, Mr. Tahabsem was able to grow ITG not only by size, geographic representation, and revenue but also in technological innovation and the application of technology in various fields. 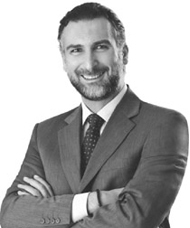 His innovations include the development of the first Arabic artificial intelligent parser and the creation of an Electronic Data Interchange solution, implemented in many large European institutions, as well as one of the top education solutions, EduWave®, which currently holds one of the largest base of countrywide deployments and users worldwide. Over the years, Mr. Tahabsem has been an active member of a number of key national boards, councils and associations including: Jordan’s National Agenda, Jordan’s Board of Education, Jordan University for Science and Technology (JUST) Advisory Council, German Jordan University (GJU) Advisory Council, Information Technology Association of Jordan (INT@J) Board and Jordan’s Youth Development Program (INJAZ). Mr. Tahabsem not only serves on the Prince Hamzah Bin Al Hussein School Board and Jordan's ICT Advisory Council but the Jordan Strategy Forum (JSF) Board. Moreover, Mr. Tahabsem is Chairman of Endeavor Jordan, a position to which he was appointed due to his belief in the active role that Endeavor plays in enhancing the country's entrepreneurial ecosystem. Mr. Tahabsem is a member of the Advisory Council of the National Initiative 1000 Entrepreneur and also co-founder and board member of (Oasis500), the region's premier education and counselor-driven seed investment program. In addition, he is an active member of the (Saudi Al-Aghar Think-Tank), a nonprofit and independent Think-Tank aiming to transform Saudi Arabia into a knowledge society. In recognition of his outstanding efforts and leadership in information technology improvements and the education sector in Jordan, he was awarded by His Majesty King Abdullah II Bin Al Hussein with the Order of Independence to become the first Jordanian honored in this category. He has also been granted a membership certificate from (Al-Bayt Institute for Islamic Thought) in recognition of his scientific and technological efforts. Recently, Mr. Walid is the Board Member of Naua, which is an initiative of Crown Prince Foundation, designed to increase charitable work and develop a sense of community responsibility.